Come join us as we seek the Lord together! We believe that the church is to be active in our world, taking the Gospel to the lost, teaching them to follow Christ in daily life, and ministering to the needs of all people. 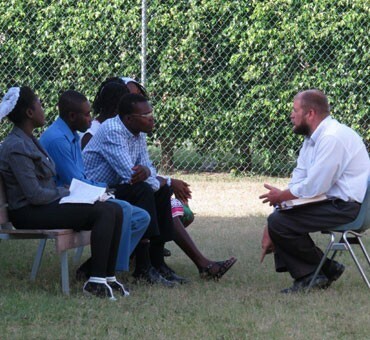 We believe this is best accomplished through personal interaction and by local churches demonstrating Jesus collectively to a lost world and continuing to plant more churches.. The Bible, in its original autographs, is the divinely inspired Word of God. It is infallible and inerrant, revealing God and His will in the Old and New Testaments. It is not the privilege of men to add to or subtract from any of its words or teachings. The New Testament is God’s further and final written revelation to man. Its authority supersedes all other revelations, insights, and counsels. Jesus spent His earthly life caring for needs and preaching the Kingdom of God. His instructions to His disciples were very simple: Follow me! The brethren believe in taking that command literally. 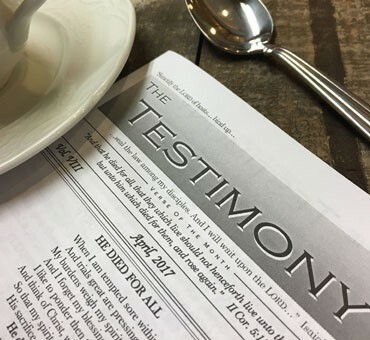 Nourishment for the reader and opportunity for the writer, The Testimony is a monthly periodical published by the Brethren.